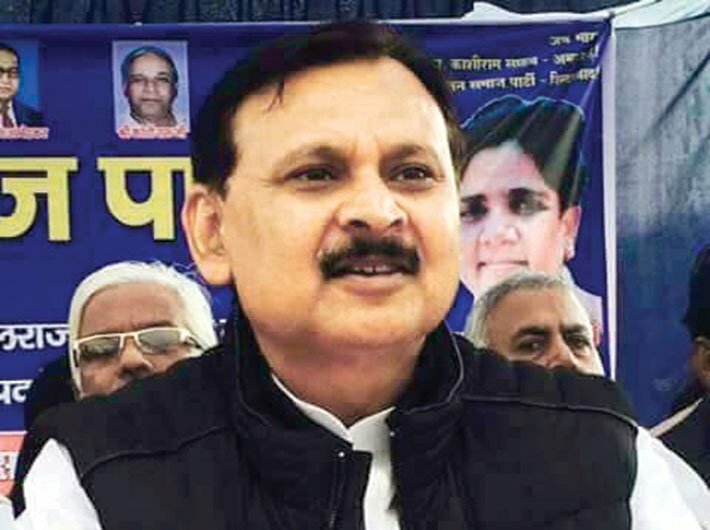 Vinay Shankar Tiwari, one among handful of Brahmin MLAs from the Bahujan Samaj Party (BSP) and the only non-BJP MLA in the nine constituencies of Gorakhpur, shared with Governance Now his idea of an ideal city and also spoke on the Yogi Adityanath government completing 100 days. What do you have to say about ‘Sau din vikas key’? I am really afraid whether they know the meaning of vikas (development) at all! Yogiji only knows Hindutva and communalisation of politics. The law and order situation in Gorakhpur has worsened. A murder takes place every time he visits the city. There is no fear among criminals. The business community is both angry and helpless as they can’t oppose Yogiji and he has done nothing worthwhile. Vision. It’s obvious that his agenda is just to harass the minorities and establish Hindutava. This is why things like ‘anti-Romeo squads’ and crackdown on slaughterhouses were given priority. The rest remained confined to announcements. He inaugurated an airport here, but that was actually the work of the previous Samajwadi Party government. The power scenario in Gorakhpur has worsened over the last 100 days. As you have already seen, in barely 10 minutes of rains, the entire city is flooded. There is no sewage system, here even when the mayor and the MP are from the BJP. I’m not able to see the pothole-free roads he promised by June 16. There’s a road from Gorakhpur to Varanasi with potholes that turn into ponds during the rains. Yogi Adityanath announced that a fertiliser plant has been started here. Is that not development? He only announced the restarting of the plant, for which the centre had approved funds in 2015. The Modi government had announced in 2015 that it would revive the Fertiliser Corporation of India’s urea plant in Gorakhpur at a cost of Rs 6,000 crore. The factory, closed since 1990, is close to the Manbela grounds, where Modi addressed a rally during the Lok Sabha election campaign. If the chief minister is taking credit for it, it’s wrong. He should aim at upgrading GIDA [Gorakhpur Industrial Development Authority], formed at the same time as Noida. Look at what Behenji has done with Noida, and look at what’s happening with GIDA. People don’t even know about GIDA. Yogi is searching for land to start a sugar mill, but there are mills lying defunct. Metro? This city doesn’t have a good public transport system and he’s speaking of bringing us a metro! The existing flyovers are in bad shape. Yogi and his MLA Radha Mohan Das Agarwal are still fighting over credit for a flyover which was built a couple of years ago. Gorakhpur is such a small city, a metro is not really needed: what we need is a better public transport system, better traffic management, a few flyovers, roads. What’s your opinion on the loan waiver for farmers? In its first cabinet meeting on April 4, the Yogi Adityanath government had announced a Rs 30,729 crore scheme to waive crop loans up to Rs 1 lakh of small and marginal farmers in the state. Loan waiver is not a solution, only a temporary relief. There are around 2.3 crore farmers in Uttar Pradesh, of which about 2.1 crore are small and marginal farmers. But not all of them have taken loans. One indicator is the number of Kisan Credit Cards, a major instrument by which farmers take loans. KCCs issued till March 2015 were 41.32 lakh, covering only a small section of farmers. So the poor won’t benefit from the farm loan waiver. What about Yogi Adityanath’s mandir darbar? The mandir darbar is an example of his hollow style of functioning. He has ordered bureaucrats and senior police officers to sit at his mandir darbar twice a week. The order was taken back after it ran into opposition from government officials and locals. Why will officials come to the darbar? It’s humiliating for officials and locals will lose their faith in the officials. His Yuva Vahini harasses bureaucrats, while he himself is busy checking projects of the previous government, be it the Agra-Lucknow expressway or the Lucknow metro. What do you think of Yogi Adityanath? He’s a greedy man. He wants everything, both power and money. He is a saint. What does a saint have to do with politics? He wants to be the temple head and at the same time he wants to be chief minister. He is already an MP and now is ready to become an MLA too. I had never seen such an ambitious saint who needs rifles and revolvers for his safety. Mahagathbandhan. There is no other way to stop the BJP and leaders like Yogiji. Our leader Mayawatiji will join Laluji’s rally next month. The BJP will have no way out when all others unite, for we all know the BJP has won only because of division of votes.